New Delhi: Shahid Usman Balwa, promoter of Swan Telecom Pvt. Ltd (now Etisalat DB Teleservices), got bail from the special court in the second-generation (2G) spectrum scam case on Tuesday, leaving only former telecom minister A. Raja and his two former aides still in New Delhi’s Tihar Jail. Eleven of the 14 accused in the case are now out on bail. Dravida Munnetra Kazhagam lawmaker K. Kanimozhi and four others left Tihar on Tuesday night after they got bail from the Delhi high court on Monday. Last week, the Supreme Court gave bail to five others against whom charges have been framed in the case. 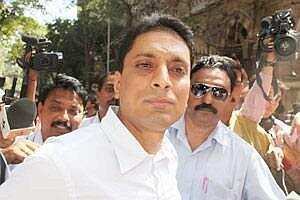 The Central Bureau of Investigation did not oppose bail for Balwa while arguments were on in the special court. Balwa is the only accused in the case to be given bail by judge Saini. “Since as many as 10 co-accused referred to above have been admitted to bail by the SC as well as the HC, and the charges against accused Vinod Goenka (Balwa’s business partner) and the applicant (Balwa) are almost identical, following the principle of parity, I am inclined to admit him to bail," ordered Saini. Balwa was granted bail on on a bond of ₹ 5 lakh plus two sureties of the same amount. He will be subject to similar conditions of bail as the rest of the accused—being present in court for the trial, not tampering with evidence and surrendering his passport. Behura’s counsel, Aman Lekhi, in his arguments before justice V.K. Shali of the Delhi high court, said, “Unlike other politically connected accused, the retired public servant lacked political muscle and financial clout to tamper with evidence. In fact, he is the least influential among the lot." Behura’s plea will continue to be heard on 1 December, and Chandolia’s on Wednesday.